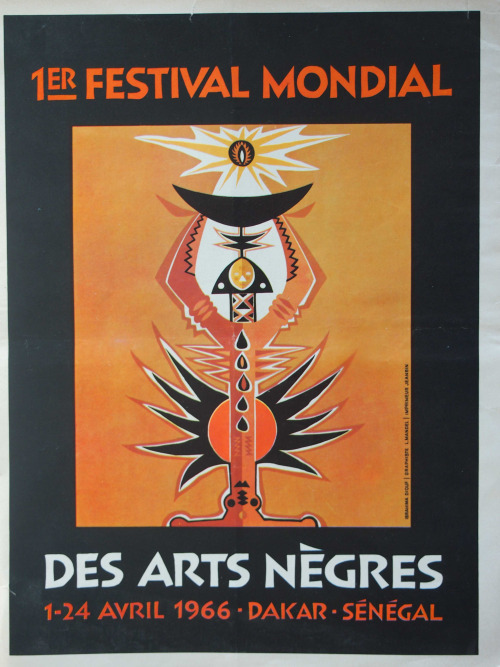 In April 1966, thousands of artists, musicians, performers and writers from across Africa and its diaspora gathered in the Senegalese capital, Dakar, to take part in the First World Festival of Black and African Culture (Premier Festival Mondial des arts nègres). The festival constituted a highly symbolic moment both in the era of decolonization and the push for civil rights for African Americans in the United States. In essence, the festival sought to perform an emerging pan-African culture, to give concrete cultural expression to the ties that would bind the African ‘homeland’ to black people in the diaspora. On the occasion of the 50th anniversary of Dakar ’66, this conference seeks to examine the festival and its multiple legacies, in order to help us better to understand both the utopianism of the 1960s and the ‘festivalization’ of Africa that has occurred in recent decades. The conference is also interested in exploring the role of colonial exhibitions and w! orld’s fairs in establishing a set of representational frameworks that would later be contested but also sometimes (unwittingly) adopted by black/African groups in the aftermath of the Second World War. The festival was organized in the middle of a period extending from the late 1950s to the mid-1970s during which a wide range of cultural, sporting and political organizations were created, and major events were held, all of which were informed by Pan-Africanist ideals. In terms of festivals alone, the 1966 Dakar event was followed by hugely ambitious Pan-African cultural festivals in Algiers (Algeria) in 1969 and in Lagos (Nigeria) in 1977. From an early twenty-first century perspective, the Pan-African ethos of the period appears strikingly utopian. Nonetheless, the Pan-African ideal has endured, in particular in the domain of culture. Indeed, it might be argued that it was the series of cultural festivals organized in the aftermath of decolonization that marked the most meaningful articulations of Pan-Africanism. As was argued above, these festivals witnessed the ‘performance’ of a Pan-African culture, and they facilitated concrete encounters between Africans and memb! ers of the diaspora that forged a new and profound sense of cultural affiliation. For instance, in his autobiography, Music is my Mistress (1973), the great US jazz musician Duke Ellington wrote of his performance in Dakar in 1966: ‘the cats in the bleachers really dig it. […] It is acceptance of the highest level and it gives us a once-in-a-lifetime feeling of having broken through to our brothers’.